Everything needed to install, setup and commission your system. Connect to any power source to your system - solar panels, wind turbine, generator, batteries and public electricity grid. Add System Monitoring, Net Billing Application and/or Generator integration to your system. 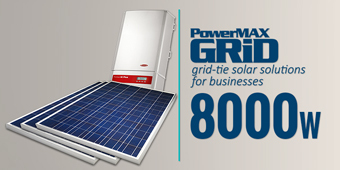 PowerMAX can help you to secure financing with interest rates of 9.5% and low monthly payments. Recommended for up to $40,000.00 per month electricity bills. *Based on 2016 Rate 10 JPS billing. Need more energy? Call us for packages higher than 10.5KW. Packages include installation material & labour and a FREE desulfator (battery life extender). Prices and saving amounts are subject to change without prior notice. Purchased packages may be different from the components listed aboves. Monitor your energy usage from your computer or mobile device. Net Billing will allow you to sell energy back to JPS. We take care of the entire application process to get your system connected to the national power grid. Note: Price includes all required fees. A deposit maybe required by JPS. We can add your generator to your HYBRID system as an alternative power source for charging your batteries. This will ensure that your batteries able to charge on those overcast days. 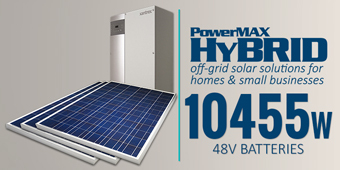 If you don’t have a generator, you may purchase one of our compatible units. Subscribe for the latest news, energy saving tips from our blog and special promotions. Copyright © 2014 PowerMAX Energy Solutions Limited. All Rights Reserved.